With superb weather year-round, the Sarasota area is one of the best in the state with an outstanding selection of homes, unique charm, beautiful landscapes, scenic waterways, and vibrant cultural activities. For 2018, U.S. News & World Report named Sarasota the number one place to retire. Money Magazine has also rated Sarasota as "America's Best Small City" and one of the nation's top eight "Best Places to Retire". Sarasota is also home to one of the world’s most beautiful and top rated beaches, Siesta Key Beach. It was named the No. 1 beach in the nation on TripAdvisor.com's 2015 “Travelers' Choice Awards". AARP ranks Siesta Beach #1 "Best Beaches in the World 2015". Coastal Living Magazine ranks Sarasota in 2017 as one of the nation's top ten "Happiest Seaside Towns". As a native and lifelong resident of Sarasota, Greg Hudson has a local's insight into the Sarasota real estate market that can make all the difference to you. Allow his knowledge of our coastal towns and city streets along with his team of experts to benefit you in finding your new residence. Questions about any property for sale along our Gulf Coast, call or email Greg today 941-302-1485. The information contained herein has been provided by MFRMLS. IDX information is provided exclusively for consumers' personal, non-commercial use, that it may not be used for any purpose other than to identify prospective properties consumers may be interested in purchasing, and that the data is deemed reliable but is not guaranteed accurate by the MLS. 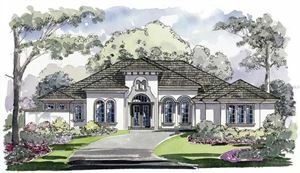 Listings last updated Apr 24, 2019 6:51:am.